Having a baby is one of life’s most wonderful experiences. The joy of holding your little one in your arms for the first time, his/her first smile and the way they hold your pinky finger – is unparalleled. But while having a baby can be source of unlimited happiness it can also be a costly affair for many new parents. Diapers, wipes, feeding bottles, baby formula, strollers, cribs and clothes – the list can be exhaustive and pretty expensive too. free there are ways you can get most of the baby stuff free – if you know where to look. To save you the trouble of browsing the internet, we have compiled below a list of 43 simple, easy ways you can get your hands on a ton of free baby samples online and offline – and save a pile of cash in the process. This well-known retail chain offers a host of free surprises when you create a birth registry with them online or using the convenient Walmart app. First up, you get a FREE Baby Welcome Box – filled with cool surprises for your baby – and you. Next you get to buy handpicked products covering baby safety, infant activity and baby care, including car seats, baby strollers, infant feeding bottles and diapers – at great prices. And if you don’t quite like any of the free baby stuff – you get the added convenience of free returns too. Interested in a FREE goody bag filled with great samples of baby stuff and coupons? Then create your own birth registry here and pick up your bag in-store. Plus you get to choose from a huge selection of exclusive baby stuff from the best brands at low prices and earn unlimited free standard shipping for your baby’s first year, with their free Shipping Rewards program. Once you create your Birth Registry, with Target, the second-largest department store retailer after Walmart, you get to pick up your free Welcome Kit – which contains over $100 worth of free handpicked samples and coupons. You’re also eligible for a one-time flat 15% discount on baby products from a host of top brands including; Chicco, Delta Children, Cloud Island and 4 Moms when you shop online or visit any target store in your vicinity. Courtesy its lower-than-most prices and wide selection, Amazon is a great place to shop for baby stuff online. You also get the added convenience of a free, 90-day return policy on most items that you buy. But did you know that by registering for a Prime membership and creating a birth registry on Amazon, you can get a Welcome Box filled with loads of free baby stuff and a free e-parenting book to boot. This wellness brand founded by Hollywood actor Jessica Alba, also has a line of free surprises waiting for expectant mothers who sign up for a free trial. You get a FREE Discovery Kit filled with safe, hygienic diapering essentials with advanced leak protection features, including a pack of 5 diapers and 10 baby wipes – by paying only $5.95 – for shipping them to you. At the end of your free trial, do remember to cancel your subscription or you will be auto-enrolled for a subscription. This is a great online platform to find FREE e-books for kids of all ages. It’s also a cool way to get young kids hooked onto reading from a very early age. Stories, general knowledge books, puzzles and quizzes you can find them all here, free of cost. All you need to do is load them on your tablet or any other mobile device and your kids will never miss a good book even when you happen to be traveling. This global furniture and home accessories brand also offers you a chance to win a $100 IKEA Gift card by joining its loyalty program – IKEA Family. Members of the IKEA family are also eligible for exclusive product discounts, special offers, ideas and inspirations which can be redeemed in-store or online. And the best part. It’s completely FREE to join. Baby Box University is a free online education platform established by The Baby Box Co., in collaboration with leading medical experts. It provides new and future parents with universal access to health and safety information and support. To get your FREE baby box, which contains free samples of baby products like wipes and diapers, you will need to sign up for a free education program and take a short video course on health and safety issues. This leading diaper brand has a Rewards program, where you can earn reward points simply by taking surveys, sharing on Facebook and twitter, buying Huggies products and reading articles. Another way of earning points is by referring your friends. While every friend who joins get 500 points to his/her credit, you will also be awarded 50 points for each of your friends that joins. These reward points can be later redeemed against your purchases of Huggies diapers and wipes. A brainchild of popular Hollywood actor and singer Dolly Parton, this initiative seeks to inspire children to read more by distributing free books. Post its humble beginning, this program today has grown into a worldwide effort that gives a free book every month to well over 1 million children. Available in multiple countries, the program distributes a FREE book each month to kids registered with them from birth till they reach five years of age. Started by a stay-at-home, mother-of-five, Jenny Bosco of Pleasant Grove, Utah (US), rufflebuns.com is an online store that targets infants and toddlers with an array of quality products. By joining their mailing list, you become eligible for a host of product updates and special offers on their exclusive range of baby products. This brand known for its cloth diapers, accessories and baby carriers has what it calls the – Diaper Dollars Rewards program. You get to earn one point for every dollar you spend at Kelly’s. Reward points can only by earned if you have created an online account with Kelly’s Closet. Items purchased at the Final sale/Clearance items are also not eligible for rewards points. Gift certificates and purchases from Kelly’s sister stores are also considered to be ineligible. The points can later be exchanged for gift certificates of varying value depending on the number of points accumulated. For example, 225 points will get you a $10 gift certificate. Offering an ensemble of baby products ranging from leggings, bibs and smart gift sets, this online baby shopping site often has promotions which includes a host of free goodies and giveaways. To stay updated on this, you will need to join their mailing list, after which they will keep you posted on all their product news, updates and special offers. You can simply download their app (available on both the App & Google Play store) to join the rewards program. In return you get 100 bonus points straightaway, plus another 50 points for your first code scan. Earning rewards points here is quite easy. All you need to do is scan the in-pack codes using their app – every time you buy a Pampers product. You will first have to sign-up for a TGN account to join their Baby Bucks rewards program. 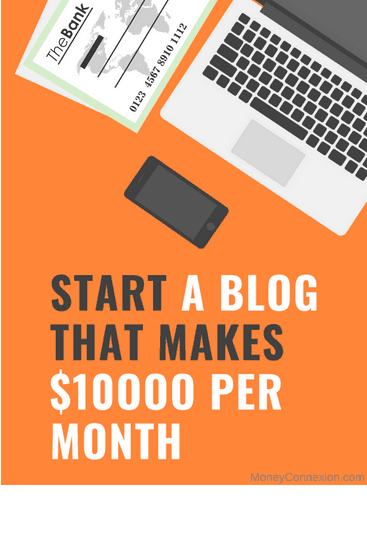 Once you do so, you will be instantly credited with 300 Baby bucks. Plus every time you shop – you will earn more. It’s that simple. You can also earn extra points for reviewing products and valid customer referrals. The accumulated points can then be used to purchase a range of baby products online. Every 100 points spent is worth $1. Points are valid for a period of one year from the time of earning them. Similac, a leading baby formula brand also offers moms the opportunity of getting benefits worth up to $400 by signing up for their – Similac Strong Moms Rewards program. Once you have registered online you become automatically eligible for several additional benefits which include Similac samples, baby formula coupons and expert nutritional guidance for both the mother and the baby. Known for making thoughtful things for both mothers and babies like pregnancy and baby journals, Pea to Pumpkins is the brainchild of Geralyn Broder Murray, a blogger, sketcher and author based out of Northern California. Expectant and new mothers can get a cool set of free monthly photo sign printables by visiting this site and downloading the set available online. Enfamil, one of the leading infant formula brands also has a great rewards program, where you can earn up to $400 in free gifts for you and the baby. Joining the Enfamil Family Beginnings also entitles you to get free baby formula coupons, samples and the chance to win free formula for your baby for a full year. This baby formula company gives new mothers a chance to sample their products for free. Just select the product you would like to sample, and click on the green – Add Free sample button. You will be directed to take a quick survey and the sample will be added automatically to your shopping cart. Now you can either choose to continue buying more of their products or simply check out with your free 12.7oz sample can of baby formula. This offer is however limited to just one free sample per household, per brand and a shipping fee may apply for select locations. This popular nutritional drink brand for growing children offers a rewards program titled – Support2Grow – where you can save up to $40 and get an instant $2 coupon just for signing up. As a member you will also receive 8 weekly emails which will include PediaSure recipes, healthy eating tips and coupons which you can redeem against the future purchase of PediaSure products. This popular diaper brand known for its super-soft diapers is equally well known for providing free samples of its diaper range. The only downside is that they are frequently out-of-stock due to the heavy demand. But if you’re keen to try out the brand for your baby it would be definitely worth your while to keep visiting them online and place a request for our free samples of Cuties Complete Care baby diapers. The Natural Baby Company sells a complete range of baby products ranging from diapers, accessories, all-in-ones, fitted cloth, potty training tools, pacifiers and what not. They also have a great rewards program that allows you to earn points and every time you buy their products ($1=100 points) and then redeem them for a whole selection of free products. You can also earn $5 discount on your next order by simply referring a friend. Plus there is a 10% discount for you if you sign up to receive their emails. In return you get to earn points and free credits to the tune of $5 for every dollar you spend – which are then added to your account as – Store Credit. The accumulated credit (converted into dollars) can be used by you to pay for your future purchases or in tandem with other modes of payment such as credit cards and gift cards. A part of the P&G family, the Luvs brand of baby diapers will give you special digital discount coupons if you register online with them. You also stand to win a one year’s supply of diapers FREE for your child by entering and participating in their online Diaper Sweepstakes contest. Registering with this site will give you access to stage based pregnancy and baby email newsletters, offers and weekly coupon alerts. You will also get free baby samples, baby coupons, baby magazines and much more. This popular brand of detergents, diapers and cleaners also has a community called – Generation Good – where you can connect with new parents to exchange ideas, tips, participate in group events and preview new products. You also get valuable coupons for their range of baby products and get to try out new products for free. Have you tried shopping for your baby on Ebates. If not, its time you did. You stand to get upto 40% cashback from over 2500 leading stores plus a choice of leading baby care brands like Buyback baby, Macys and The Honest Company. And why should you sign up? Because there is a cool $10 bonus and a $10 Walmart Gift card if you do. This popular classified advertisements website is another place where you can check for free baby items. This could be in the form of giving away such stuff for free or finding used stuff in good condition selling cheap. All you need to do is log on, select your city and browse for – free baby stuff – which should show you the best listings in this category in your neighborhood. With 5,323 groups and approx. 9,342,379 members around the world, this non-profit website is all about helping people give away good stuff for free – to keep it out of rubbish bins and landfills. The list of free stuff also includes a host of used (and unused) baby stuff in good condition. Each group is supervised by local folks from that particular neighborhood and membership is free. This site shares important infant nutrition information for new mothers and also makes free baby formula coupons available to them online. The idea is to reduce the financial burden of feeding the baby in its important first year. The formula coupons are downloadable, printable, and ready for immediate use at your favorite retailer. Aeroflow Breastpumps, the durable medical equipment provider helps young / expectant mothers qualify for a Medela, Lansinoh, Spectra or Motif breast pump breast pump through insurance. To get started, all you need to do is fill out their online form and they will get in touch with you over the phone or email. NDBN was set up in 2010 in the US to create national awareness on the huge impact made by diaper banks in addressing a most basic need of babies, access to clean diapers. If you happen to have or are expecting a baby, you get could access to free diapers via this network. It’s surely worth a shot if you happen to belong to a low income family or are unable to provide for the needs of your child. While the websites listed above are a great way to get some handy free baby samples – and save a pile of cash – there are other ways that you can try to get fee stuff for your baby. Here’s a look at some of the other options that you have at your disposal. Most brands, companies and retail stores will be happy to oblige if you tell them you are interested in trying out specific baby products. Many time they will even be happy to provide you with free samples of the products you want. It all depends on how you approach them. A tip- A formal request mailed to the company or brand works best if you want to score free samples. It’s common for people to hold on to a lot of stuff for nostalgic reasons including baby items – even after their kids no longer have any use for them. Talking to your extended family and friends and telling them what exactly you need is a good way of making them rummage through the stuff they have and giving you the items you need – for free. Your pediatrician or gynecologist can also be a great source of free samples of baby source like baby formula, vitamins, tonics and the like. The reason being pharma company representatives often give kiddie doctors free samples of new products in such categories for distribution among their patients. Sharing you interest with your doctor in trying out such freebies can keep you stocked with a ready supply. Maternity hospitals are another great place to scout for free samples. If you haven’t given birth yet or just have, chances are your doctor will be more than happy to give you free diaper samples or any other related product that you may need and want to try out. Top baby brands, retail chains and manufacturers often host free-to-attend promotional events and activities across various cities to introduce new products. Attending such free events is a great way to get some free samples of cool baby products ranging from diapers, wipes, feeding bottles, baby formula, bibs and much more. As part of their promotional campaigns, online baby stores and retailers often come out with special discount coupons for their range of baby products. Sometime you may even get a free gift every time you use one of those. But every once in a while you may come across a coupon that lets you snag baby stuff for free. Checking the Sunday paper and keeping your eyes peeled on online sites like Coupons.com is a good way to start collecting. Now this is a tried-and-tested way of scoring a pile of free stuff for your baby. Talk to your family and close friends about it. Chances are one of them will be more than willing to host one for you to celebrate this happy event. Goes without saying that by doing so you could literally be showered with (free) gifts for you and your baby. You can try registering with reputed online reward websites (Swagbucks, GrabPoints, QuickRewards, InstaGC) which will pay you with gift cards for completing simple online tasks, like taking surveys, watching videos, shopping online and downloading apps. You can choose gift cards of stores that also sell baby stuff (Walmart, Babies R Us, Buy Buy Baby) and redeem them for a range of assorted baby stuff that you need. Checking for groups on popular social media platforms like Facebook which give away baby stuff – for free – is another cool way. In fact there are quite a few groups dedicated to babies and young mothers and many of them give away good stuff for free. Checking them out regularly might just help you to find the baby stuff you need – for free. Remember the time when as a kid you exchanged stuff with the other kids you knew. This works on the same basic principle. Get hold of a group of parents in your area at a common venue. Make sure you tell them to carry baby stuff that they don’t want or need. Once all there, you only have to swap or exchange the stuff among yourselves. This way you can get rid of the stuff you don’t want – in exchange for baby things you really need. Did you know that the food bank in your neighborhood is not just a great place for free food, but for a slew of personal care items – and baby stuff – as well? Plan a visit to the one closest to you to check this out. Who knows you might find a tin of baby formula which you could get for free. If you were worried about how you’re going to manage all the additional expenses that come with having a baby, you can now put your mind to rest, after reading about all these options. 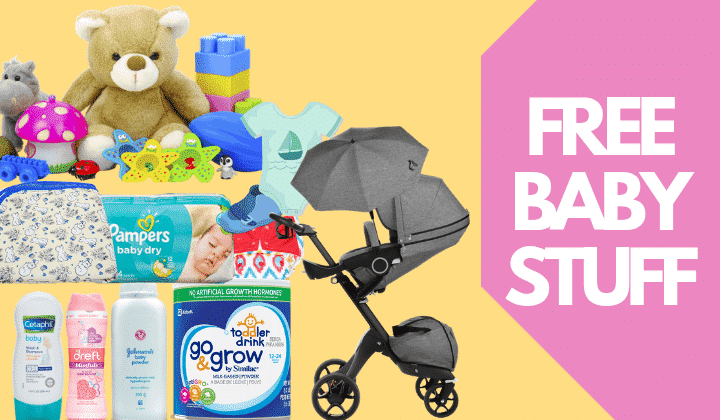 As you now know, there are plenty of ways and means using which you can snag a whole range of baby stuff – from diapers to strollers – for FREE. So make it a point to check out these free baby stuff and choose the ones that suit your specific needs the best. Good luck. Good morning , Im mother of 1yr old. Living in UAE. Is this free samples available in US only?